Bloodlusted since I like a challenge. But in character I guess. If you have more than 1000 posts and have actually been around on Comicvine Battle Forums you should know the rules already. Don't interrupt, this is a debate between me and Anthp, have a problem with the matchup? PM either of us. And when voting for who won, vote for who you thought debated better or at least who had the better argument or even represented their character better, a vote cannot solely be based off who you personally think would win. @deathhero61: Awesome. But wait is it IC or bloodlusted? Would it make a difference for Katara really? Also I meant to say both. Edit: There's a difference between being bloodlusted and in character and just being out of character in general in case you are wondering. @deathhero61: Well, whatever I guess lol Bloodlusted but IC it is then. @anthp2000: If you think it sounds weird, think CW Barry when he was bloodlusted and then you'll see what I mean. @deathhero61: I think I get it, just thinking about how many CaVs I had without realising the correct meaning of the term. @deathhero61: I'm probably going to post tonight. @jucaslucasa: That is the best gif. @americanspeeddemon: lol don't apologise, it's fine. As someone who has seen both, I'm very interested on how Katara will stand a chance. Regardless, I trust Anthp will rep her well. Good luck,guys, make sure to tag me when it's done! Tag me. I don't know anything about DH61's character so I probably won't vote, but I do need some Katara gifs. @mial42: I have that Korra vs Katara CaV with many gifs. I'm copying gifs from there right now. @mial42: Why do you need Katara gifs? I want to branch out debating wise. By now I've debated or am debating for pretty much every character I want to (Zaheer, Ming Hua, Korra, Tenzin, Zhu Li, Wan, and a couple of others I'm forgetting), and some of them (Wan, Zaheer, Korra, and Tenzin) multiple times. I want to debate for Katara, but I don't have the gifs yet. I'm petty, and always challenge people to CAVs when a battle forum thread(where nobody puts as much effort debating) is going nowhere fast. It was a Katara and Zuko vs Shouto match and he said Katara could solo and I said "Oh really???" and he said "Oh yeah" and I said "well come catch these hands boi" and here we are. It took me 3+ hours to find most of Zuko's basic feats, Katara should be a lot easier, especially since there are respect threads and CAVs relating to her. For some reason, this sounds hillarious. @deathhero61: Seems a bit of a mismatch but T4V. Lmao is that supposed to be a burn scar?! The originality is so blatantly clear. @deathhero61: I'm working on the post litteraly right now. This seems like a msimatch, but that's not what these are about, so T4V. The world of "Avatar" is a world where certain people (almost half of the population) are born with special abilities allowing them to control/manipulate one of the 4 natural elements, Water, Earth, Fire, Air. The manipulators of the elements are known as "benders", waterbenders, earthbenders, firebenders and airbenders. An Avatar is a person who can both control all 4 of the elements and unlock a power called the "Avatar State" which is basically the god mode in-verse, plot deviced to allow the Avatar do anything. Aang is the current Avatar BTW. Anyway, to make it short, the world of Avatar is split in 4 nations each one representing 1 element. During the time the events below take place, the Fire Nation was in a Hundred-Year War with the Earth Kingdom after they burned down the Air Nomads. Katara is a waterbender from the South Pole, the master of 2 Avatars, one of the most powerful benders in the world and the best waterbender in the series as far as I'm concerned. I do believe she has what it takes to win this fight. I feel comfortable saying that Katara is superior in elemental manipulation by a good margin. While, Shouto has a huge scale advantage, she has every other advantage vicrtually. Katara is not on his level of sheer scale in hydrokinesis, but she's close enough to at least hold her own. Here, Katara puts up with both the pressure of the water and the large amounts of dirt and rocks inside to manipulate a waterfall-like stream. This particular wave clearly took much time to travel the distance it needs, however unlike here, the distance between Katara's location and the sea is considerable. That's way more than 100 ft. while Katara has an available source of water to use right next to her here. I'd like to note that Katara's wave here filled an entire factory in seconds, this should tell you about how much water she can manipulate. Here, she manipulates a very large part of an entire lake. With the aid of the Full Moon, she could instantly raise and attack with warship sized waves effortlessly, though since this is with the Full Moon I'm not willing to use it. Katara could break through steel chains various times with minimal amounts of water. Or even much, much thicker metal like steel pillars, though that's piercing damage output. And here, she slices through Huu with giant water blades. I think this is more than enough to suggest Katara is around Todoroki's level in scale. If this came too fast to see, here's a hint of how large that wave is. Katara made this by simply raising her arms a bit for less than a second. Combustion Man, the guy that shot the explosive beam, is more than twice as large as Katara, and he looks like an ant, a joke compared to this wave. And to avoid confusions with people not well-versed in Avatar, she can instantly flash freeze the water she manipulates. So yeah, Katara's scale should be enough to compare to Shouto's immense speed and scale. But I also feel comfortable saying that Katara's water is considerably more powerful than his ice, meaning that the potency behind her attacks is superior. In this instance, she bends a wave that forces the Swamp Monster Huu away some stories. For context, Huu is durable enough to tank bombs thrown at him and strong enough to slam tanks and send them flying effortlessly. Those same bombs were busting submarines right after that, which is pretty impressive since submarines are built durable enough to resist the pressure of the water under the ocean (credit to my opponent for this argument). Here, her ice construct is capable of stalemating Toph's earth construct in power. Toph has enough power to defend against the bombs we were talking about before as well as defend against attacks good enough to destroy at least part of a giant refinery, a factory made of steel. We know Aang was going to succeed what he wanted with that fire blast since he was in the Avatar State atm (got out when he saw Toph interfering). And Katara's greatest feat would be when she slapped an entire warship 1000+ ft. away. Judging by how big these Fire Nation guards (should be around 6 ft. tall, average) seem in comparison to the ship's length (horizontally), the ship's back should be about 100 ft. long. And as we see in the gif, the ending result is the ships going from about 100 ft. distance to 10+ times more distance. Katara is absolutely leagues superior to Todoroki as far as control and skill over ice or water manipulation goes, however I won't post everything she has because of irrelevance in this particular fight. This is a crucial factor in this battle imo, allowing her to counter nearly everything he throws at her and have a more diverse set of abilities than him meaning an offence advantage. Katara can attack from right under her opponent's feet. Experienced Avatar characters might be expecting this to happen during battle because many benders have such abilities, but in the case of My Hero Academia, I haven't seeing anything suggesting they'd be expecting such unorthodox attacks. Furthermore, the speed of this particular attack should be very impressive considering Toph failed to react to it. This was an on-combat situation but Toph has shown she can react to very fast things in non-combat situations consistently, such as Azula surprising Team Avatar by taking her firebending back at point blank range, and I think we can agree that Azula was one of the fastest characters in the series at this point. Here, she stops part of a rain in the middle of a storm and creates a water sphere out of the drops. And here, she creates an enormous barrage of ice spikes that she launches at Combustion Man, Shouto does have good piercing resistence, but this will at the very least slow him down enough for Katara to win if it hits. Katara can also turn water into steam and manipulate it in such way that allows her to flash freeze anyone or anything around it on the spot. She can also draw water out of the air itself and use it for whatever her needs are. A very important advantage Katara has over Shouto, is that she can manipulate the water or ice he throws at her, unlike him. Her anti-water defences are amazing. All 4 elements in Avatar have a philosophy of their own, and for water, it is redirecting the opponent's energy against them, manipulating their attack and redirecting it to use their own offence as your own, something Katara does all the time. To give you an idea, there's her fight with Hama, an old waterbending lady, her fight with Master Pakku, tht was also before she recieved formal training from him and the time she humiliated some children. In all of these instances, you can see Katara doing that against water, but I'd like to note that she can also do it against ice just as well, as we see here. It's pretty clear that she can turn an ice attack into water instantly and redirect back at the attacker. Just pointing it out because Shouto uses ice, not water. Apart from all that, Katara has insanely good anti-water/ice defences exclusive to her. Here, she blocks Hama's huge, potent attack with a touch. And here, she newtralizes some water from Master Pakku's attack turning it into thin air. I think all these come to show that Katara can defend from or even attack with Shouto's ice or at least part of it, meaning he shouldn't be able to overwhelm her, which is what his only option would be (with ice). Moreover, I wanna note that Katara can use icebending to enhance her mobility in combat and dodge large, AoE attacks or outmanuveur her opposition. This might come in handy against Todoroki's fire manipulation as well. Anyway, noting that Azula (the woman who's throwing around all this blue fire) had an easy way to make sure Katara won't use her mobility there anymore. Her fire was melting whatever small amounts of water/ice she had to use there, this is an option your character doesn't unless he fully abuses his fire manipulation. Even then, Azula's fire is probably a lot more potent than anything he has (she was able to vaporize attacks from Katara before) and esspecially under Sozin's Comet (an amp that gets firebenders to crazy levels of power). Last but not least, this is a trump card if worse comes to worst. Katara can and will use this technique in case Todoroki somehow manages to flash freeze her. Here, she is stuck on her own flash freeze, and she is turning the ice only around her own body into water so sge can move in there. And she can pretty much turn the entire ice construct into water and take it down, rendering most of Todoroki's abilities pretty much useless. It's basically that easy for Katara to escape flash freezes. Apart from agility and speed, Katara is nothing special physically, Todoroki stomps her in strength and durability etc. However, Katara is a good bit faster than him unless I'm missing something. MHA has a few feats that can be attributed as sonic-supersonic but even by scaling, I've never seeing Todoroki being that fast. Now, in order to specify exactly how fast Katara is, I'm going to have to show a few feats from the Avatarverse in general in order to locate everyone on where these characters range speed-wise. For 2 obvious reasons, guns do not exist in Avatar. The events of the show take place in very old times, and it's a kids-friendly show. However, they have other ways of showing us how fast they are using bending moves, explosions, arrows etc. Here, Korra bends faster than the electricity from the Lieutenant's battons can reach her (notice that because of the speed difference Mako and Bolin did not make it, not every charater can just replicate these things and also notice that Korra's wave did not reach the Lieutenant cause it was too slow in comparison as well). Electricity in water moves around almost 1% the speed of light which is actually still a lot faster than a bullet, 3 or 4 times faster. Lightning from firebenders is a bit slower than that based on its showings (characters struggle heavily working around it, but people like Mako and Bolin can still react), which at the very least makes it bullet speed or bullet speed+. Azula instantly hides inside the cart before she is hit by the broken debris. And Azula started moving the very exact moment that we hear the debris breaking (you can see her leg last minute). Yet, she is not hit the slightest. Essentially, this is also the speed of sound or at least insanely FTE. And here Aang crosses around 70 ft. without being percieved. 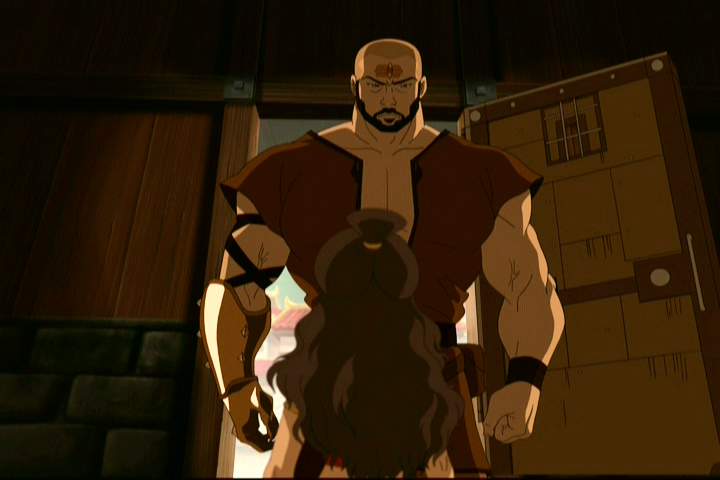 Master Piandao appears from behind Sokka's back in front of him in a clear FTE showing. A Kyoshi Warrior could swat Mai's arrows out of the air, and Ty Lee, the pink girl who used pressure points, lolblitzed her. Mai, the kife thrower, also blitzed her when she used her combat speed to attack (the arrows come from automatic, mechanical shooters but throwing her knives requires body movement which is too fast for the Kyoshi Warriors). This is only one example. I could give other showings to show consistency but I think you yourself can agree with me on them. This is essentially reacting to sound waves = reacting to sound = reacting at the speed of sound = reacting to bullet speed. Let me remind you that Toph does it all the time, it's her way of life, her way of percieveing the environment and her way of fighting. Aang and Toph's daughter from LoK also used Seismic Sense plenty of times BTW. Conclusively, I believe characters in the Avatarverse (high and top tiers) range from roughly sonic to supersonic reaction and movement/combat speeds (supersonic is only valid to 4, at best 5 specific characters and Katara isn't one of them). How fast is Katara individually? Katara is no speedster by Avatar standards but she is still good enough to suggest she would be capable of reacting to projectiles at the speed of sound or a tad above. Here, she dodges one of Azula's lightningbolts after it was fired. Toph, the earthbender we were talking about before, could barely block Mai's daggers on time, yet Katara manages to do the same thing, attack her back, turn around, incap Ty Lee and turn back to block another attack from Mai at close range. Ty Lee's travel speed (while running) is also very impressive as she could keep up with Azula using fire to propel herself even while maintaining balance on a tightrope. Azula is not only extremely fast, with a FTE showing and her ability to match or exceed Zuko's combat speed (the same Zuko who reacted to explosions), but she's also a master martial artist. Katara took her on here, and managed to pressure her at close range. Sorry for the poor size of the gif. Katara can also exchange attacks with Zuko at point blank tange herself, which is pretty impressive. Katara has quite a few of key advantages to suggest she can win here. Speed: Katara should be a good bit faster combat speed-wise imo. Control / Elemental Manipulation: Katara has ways to counter everything Shouto brings to the table with her much more diverse skillset. The safest game for Katara here would be to get on an ice ramp and try to outmanuveur Shouto while spamming large waves at him to try and flash freeze him. As a trump card, she has ways to escape his flash freezes if she gets tagged and her supeior combat speed should allow her to at least counter his super fast AoE in time with her defencive techniques. Furthermore, I can't think of any ways (yet at least) in which Shouto can counter her battlefield control with underground attacks, she can just flash freeze him on the spot with that if she goes for it. There are more things to disscuss, mainly in the draw and attack speed / scale between them I think but this should do it for now. WAIT, I forgot to put in a couple of links for evidence. Gimme a moment. @anthp2000: That was solid. I'll have a post soon. If you read the series, and do a comparison on their backgrounds at the very least they have very similar family issues. So you wouldn't be wrong. BTW when reading Manga, read from right to left. @anthp2000:Solid post, and you even covered the inner workings of the Avatar universe since I am using a character outside the verse, impressive work. But Katara is simply outclassed here for many reasons. Also the anime is a copy and paste of the manga(it follows the manga almost perfectly with little to no flaws and maybe one or two extra things,) I may use it to better visualize certain feats for the audience, just a heads up. Katara water is great an all, but it really isn't enough to win this fight, nor is her ice bending, Shouto is quite frankly on another level. Precision/Raw Power/Ability Speed: freezes the entire layout of a multi-storey building even effectively getting his target in seconds. He does this immediately, as soon as the fight starts leaving no room to react or even do a thing about it. Range/Area of Effect: freezes several villains solid. Pretty much all of these villains had quirks and superhuman abilities, but yet they couldn't do a thing. Scale: Creates several ice pillars as an attempt to stone wall Stain the Hero Killer. He has defended against his attacks before, but a widespread wall like this is bound to be filled with weak points. Precision: Freezes Noumu while he's grabbing All Might. I'll show more feats in the physicals section, for now I'm just giving you a basic rundown. It will be easier to get things certain feats across while discussing speed or durability and the like. If I am being honest, Shouto's fire manipulation tops anything I've seen most benders do, at least in terms of control and power. Power is a little trickier to argue, but he has the feats to suggest such. But to start off, remember that multi-story building feat? Well he was able to evaporate all that without burning anybody. Easily creates a large fire blast that can be rather comparable to the clash between Azula and Zuko in Smoke and Shadows. 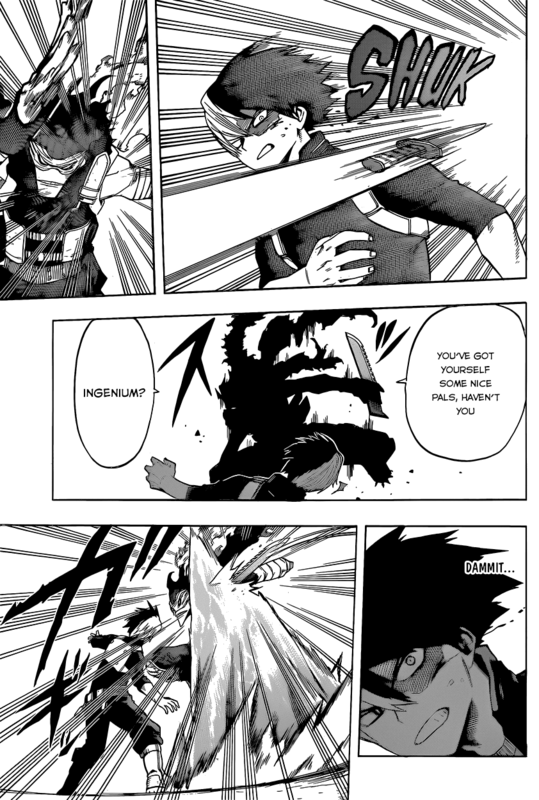 Potency: Temporarily KOs Stain when Izuku, and Iida couldn't do so with their combined attacks a few pages before. Also this is a precision feat since Izuku and Iida were also in the air with him. Scale/Speed:Completely stomps Sero, before he could take him out of bounds. The scale of the attack is equal if not beyond what Katara has done with a large source of water. Although there is plenty of water to work with here, it truly says something when a bloodlusted attack like this can be fired off that quickly, and casually as well. The thing that makes Shouto so interesting in combat is how he uses his abilities in conjunction with each other. 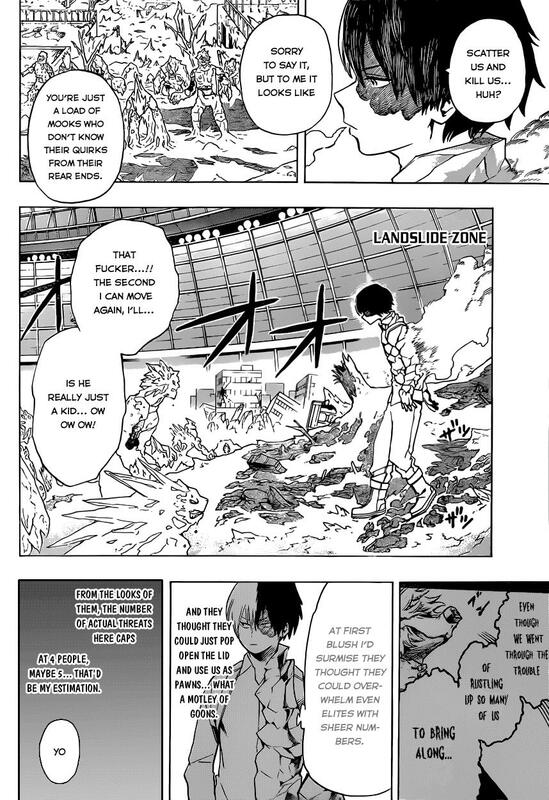 For example, when Shouto was helping fend off Stain, he launched a fire attack while he was in mid-air then followed up with an ice slide that caught Izuku and Iida while they were in midair, while simultaneously separating Izuku and Iida while they were sliding down. Rebounds from being thrown, creates a ice slide to help him rebound, while simultaneously attacking, then proceeds to counter a blitz from Bakugo. Unlike Katara and practically most benders in the Avatar Verse, Shouto can activate his powers while barely exhibiting any type of movement. In the time it takes Katara to do a decent stance, despite her reflexes, Shouto will already have an attack out. Surprisingly enough, Shouto has decent reflexes keeping up with the top tiers of his class like Izuku and Bakugo, the former who has feats of keeping up with FTE combatants in close quarters and his extremely agile, while Bakugo who also has mad skills and speed. I'll dig into that later, but take away major scaling and has pretty solid feats regardless. An attack that large being able to cover such a distance in such a short interval IMHO is above pretty much most characters in Avatar. Dodges a knife throw and although just barely, managed to defend against a blitz from Stain The Hero Killer. Crosses several tightropes, its unclear if he used his powers or his actual agility for this feat, but either one is impressive. Durability: Shouto is no glass cannon, here he tanks a large wind pressure caused by the force of Izuku's punch which not only shatter some of his ice but could be felt from the stands as well. Admittedly, Shouto did have to brace himself to a degree to tank it and had to put up a defense. Anime Version. I'd say he's durable as Zuko. Piercing/Cutting: He has somewhat decent cutting resistance, taking knives to the arm and still being able to keep fighting. Here's the thing, this doesn't matter, Todoroki's scale is so much above Katara's that its ridiculous, not only that, while I'm at it, lets address the difference between Todoroki's ice and Katara's ice. First off, the temperature difference is huge and the damage it does is a lot more dangerous, when Todoroki freezes someone, it can potentially give them frostbite or kill them if not properly controlled. Look at the extent people are frozen. And compare it to say Katara's fight against Azula. Two different levels. Another example is his debut of his abilities. When someone in Avatar gets frozen, it doesn't affect their skin, it doesn't majorly hurt them. For example, when AS Korra froze Zaheer's leg while bloodlusted, it didn't do much to him. In the case of Todoroki, if someone tried to forcefully remove ice like that they'd probably rip their skin off due to the difference in temperatures and how it affects your body. IIRC Azula also broke ice off her legs without any repercussions. Second, the raw speed combined with his scale. No avatar character to my knowledge has the level of speed Todoroki has with his element. He created a multi-storey ice construct in less than a second as I showed already. Third, there are limitatons that benders have that Shouto doesn't such as gestures, where as Shouto can use his powers without moving. Shouto has mobility, has reflexes, and power. I will continue noting some differences as I go through some of your post. There's a few things you are going to have to prove. Katara was encasing Zuko in ice, which isn't all that, where as Todoroki FREEZES his targets. One of these are far easier to get out of and resist. While the other can be a one hit KO if bloodlusted and directed at a target. Sure Katara has the raw power and defense and mobility to protect herself, therefore making this a fight, but manipulating shouto's ice seems kind of impossible since nobody in Avatar manipulates ice like this to begin with. C) Prove that Katara's experience against weaker ice benders can translate to someone like Shouto who not only has just as much mobility but can use his powers without even moving, making predicting attacks a lot harder. AOE attacks would be impossible to dodge, I wanna make note that the AOE Azula's attacks covered in that fight aren't the same as the AOE that Todoroki's attacks can cover, for example. say Katara is busy on her tsunamis or ice slides, with the range and the speed his attacks come out at, would you really say its possible to avoid such large scale attacks with ice slides? Maybe if she made use of the buildings as well while using her mobility sure, but trying to do the same thing she did here with Azula won't cut it, because those fire blasts that she dodged didn't have much AOE. Nice try, but Katara made it thin enough for her to perform this trick in the first place. She has never shown this trump card against other benders, and you really think Shouto would sit there while she tries to get out even if she could do this? She had to precisely bend the ice around her for a few seconds, then bend the ice into water. Todoroki has plenty of speed feats like I showed, keeping up with FTE opponents, launching his attacks faster than a blink of an eye. I'll dig deeper into characters like Izuku, Stain and Bakugo, and the like in my next post, but for now I feel i presented enough evidence to back Todoroki actually being faster. All that subsonic- super sonic nonsense can wait for our characters. The only thing matching Todoroki's ice in potency and sheer force was Bakugo's constant explosions and Izuku's Delaware Smashes which both pack more of a punch than what I've seen Katara do consistently. But we'll see. Speed legit goes to Todoroki, his attacks come out faster and cross a large distance a lot faster than any water bending attack shown consistently in the series, they aren't delayed by time wasting stances, and they can be done with little to no movement in the right situations. The best part is I haven't even dug into the characters he scales with such as Izuku and Bakugo. 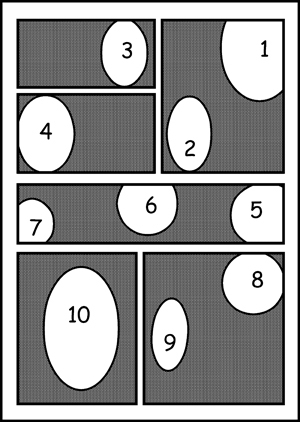 Most of the control and techniques ride on the possibility of bending something like Shouto's ice. Along with the fact that despite her anti-water/anti-ice defenses, she has no counter to a flash freeze asides from a bending technique she used herself while freezing Azula. "Here for another scar you Zutara bender-wannabe?" That's a great feat but it's more precision (that Katara doesn't lack) than power. From what I can tell (mostly based on the video too), he more covered the robot on ice, he didn't exactly threw a giant ice construct or anything (tho he can clearly do that). Plus it take time, so yeah, Katara can dodge it with her icebending and block it with her even larger ice walls. Any durability feats for these guys? Azula could one shot people like Zuko and Iroh with her most casual and small fireballs, and when their attacks clashed here, they were evenly matched with Katara. Zuko is durable enough to tank gas explosions at point blank range while Iroh can no-sell small rock projectiles from the elite earthbenders, Dai Li. That doesn't mean Katara can one shot Zuko or Iroh with water blasts but Azula's probably a lot stronger in fire manipulation than them and it justs shows Katara can actually defend against that with her own attacks. That's a great combo but you're forgetting that Katara has much, much superior battlefield control with her own attacks (that I still see no way for Shouto to counter them) coming from right underground. As for her countering the move itself, that wouldn't work in the first place. Katara can manipulate the ice to her own advantage. She won't be forced to jump. I'll only note that Katara's ice surfing is superior and she can attack from there unlike Shouto. If he tries to reach higher ground or something Katara can descend herself with a water spout. Yes, benders need stances to perform their biggest moves but that's only partly true for master benders, and Katara is up there on the top. For example she barely needed to raise her hands to create this enormous, multistory wave that could even stop an enormous blast from Combustion Man. It's perfectly true that Shouto has better draw speed combined with scale than the vast majority of benders out there, but it's not an overwhelming advantage here. It is definetely above most if not all of them, but it's not overwhelming as I showed above. Like I thought, his reaction speed is rather unimpressive compared to Katara's, so basically, what if Katara starts spamming knife-like projectiles at him? This scans shows he could very easily be left vulnerable against good fire rate. What if she goes for an attack like this, or high volume ice spikes that will prove near impossible to dodge. Sure, he can block them with his ice I guess, but how come he didn't do it here for instance? That wasn't a direct hit (like you showed, his ice construct took much more damage than him, he was behind) unless that wind is so super ridiculously powerful. I still haven't seen enough of his ice constructs that suggest they are strong enough to even compare to Katara's best attacks so I disagree that he's as durable as Zuko, someone Katara can actually hurt pretty badly with her ice constructs. I still don't see how Katara cannot at least compare with this. Add in that her water packs more force than his eyes and you have a recipe for raw power that's more than enough to fight Todoroki. not only that, while I'm at it, lets address the difference between Todoroki's ice and Katara's ice. First off, the temperature difference is huge and the damage it does is a lot more dangerous, when Todoroki freezes someone, it can potentially give them frostbite or kill them if not properly controlled. Look at the extent people are frozen. And compare it to say Katara's fight against Azula. Two different levels. Two different levels referring to what? Another example is his debut of his abilities. When someone in Avatar gets frozen, it doesn't affect their skin, it doesn't majorly hurt them. For example, when AS Korra froze Zaheer's leg while bloodlusted, it didn't do much to him. In the case of Todoroki, if someone tried to forcefully remove ice like that they'd probably rip their skin off due to the difference in temperatures and how it affects your body. First off, Zaheer was frozen for like a couple of seconds there. When Katara flash froze the Rough Rhinos, their leader noted that he could not feel his arms and that's only after a few seconds. Did anyone try to ever break out of his ice and fail because of this? What do you mean the temperature difference? I'd like to note again that Katara can manipulate the pressure of water so much that she can make tiny (liquid) water blades cut clean or just break steel. IIRC Azula also broke ice off her legs without any repercussions. Yeah but it was a very tiny flash freeze the size of her foot, so it's not that relevant. Plus, Azula has very strong legs and it was long after Katara froze her. Second, the raw speed combined with his scale. No avatar character to my knowledge has the level of speed Todoroki has with his element. He created a multi-storey ice construct in less than a second as I showed already. Third, there are limitatons that benders have that Shouto doesn't such as gestures, where as Shouto can use his powers without moving. Shouto has mobility, has reflexes, and power. I will continue noting some differences as I go through some of your post. Yes, it's true, but Katara can still compare as I showed. See, she manipulates only this little part of the entire ocean to go through without the water touching her. Why can't see do similar stuff here since I showed she can instantly turn his ice into water while redirecting attacks? Katara could bitchslap a warship more than 1000 ft. away. I'm sure she has more sheer power behind her attacks. That's not at all what Katara or waterbenders do. Zuko was free to move around in that ice sphere because Katara encased him on water and flash froze the water (which was around him). Waterbenders encase others on ice in a different manner all the time, it's what Katara did to Azula here, it's what she did to Zuko here. It's just that unlike Todoroki's gestures, Katara blows a trail to freeze things like this. Clearly, Master Pakku or Hama are not as impressive as Todoroki but I'd argue they are in Katara's league considering Pakku was stated to be one of the strongest waterbending masters in the world, and Hama had very solid scale and was good enough to manipulate water out of thin air. Her experience against these people and the immense defence against hydrokinesis she showed there is very relevant in this fight. I don't think Shouto has even faced any other water/ice manipulator before. who not only has just as much mobility but can use his powers without even moving, making predicting attacks a lot harder. Does he really have as much mobility? It's not like his attacks are so tricky. He creates giant ice constructs, no too much philosphy behind the attack. AOE attacks would be impossible to dodge, I wanna make note that the AOE Azula's attacks covered in that fight aren't the same as the AOE that Todoroki's attacks can cover, for example. say Katara is busy on her tsunamis or ice slides, with the range and the speed his attacks come out at, would you really say its possible to avoid such large scale attacks with ice slides? Again, you're forgetting that Azula's fire was melting Katara's ice ramps in that fight. Todoroki has no such capabilities. Maybe if she made use of the buildings as well while using her mobility sure, but trying to do the same thing she did here with Azula won't cut it, because those fire blasts that she dodged didn't have much AOE. They were very big fire blasts. My point is that she can dodge his fire attacks while she can move around while countering his ice attacks (a nice combination). I think particularly the first one is extremely impressive. There are more instacnes but I think that's enough for now. It wasn't thin, it was pretty thick actually considering she could freely move her and Azula's body around sideways in there without any trouble. It wasn't a huge flash freeze because (a) she didn't need one and (b) the water down the sewers was very limited as a source. She never needed to use this against other benders, I mean, no one ever managed to flash freeze her or something. and you really think Shouto would sit there while she tries to get out even if she could do this? She had to precisely bend the ice around her for a few seconds, then bend the ice into water. She simply blew a trail using her nose. The scene took so many seconds because she was chaining Azula up in there. Of course she could turn the ice into water with a gesutre from the beginning like she did, but again, she wouldn't need to bend the entire flash freeze. That said, no, I'm not sure if she can do it fast enough before he attacks her with something else so I'll not focus on this strategy. I already can't see him freezing her in the first place. Only type of speed he's better than Katara at is draw speed with his ice manipulation whereas for now Katara holds a good bit physical speed advantage though I'll wait for your next resopnse. I'll wait for their feats then. Yeah, draw speed (and travel speed of his ice attacks I guess) is clearly in his favor. Since she can manipulate ice in the same ways and she has those great defences + her mobility, she should be able to handle his offence. I'd say her speed, mobility and power are enough to suggest that's not true. Meh, Katara has a track record against many impressive master benders (some of them more impressive than Todoroki imo) as well as skilled non-bendig fighters. Doesn't say much. They should work out as much as they do against other benders. Sure, Todoroki has massive scale and draw speed but master waterbenders like Hama and Pakku also have better control over ice than him. I'm sticking with the fact that Katara's skillset is so more diverse and versatile that it's not even funny. I mean, there's a reason she's the most versatile bender in the Avatarverse. She can attack from many different directions such as the ground right below Todoroki's feet and as the fight continues things only get worse for him. Water and ice are going to spread around the battlefield more and more, giving Katara massive opportunities to do what she alwaysdoes and attack from all around the battlefieldusing leftovers. Her water/ice is strong enough and large enough to make sure his attacks won't get to her while I simply can't see him fighting off all these different options Katara has to approach this fight. @deathhero61 Sorry for the wait. @shemarvibes: First of all Shouto isn't the one debating here and second, the debate hasn't finished yet so you can't vote. @anthp2000: I'll have a post either today or the absolute latest saturday. It only takes time to set it up, throwing the attack however is a different issue. Any durability feats for these guys? Azula could one shot people like Zuko and Iroh with her most casual and small fireballs, and when their attacks clashed here, they were evenly matched with Katara. Zuko is durable enough to tank gas explosions at point blank rangewhile Iroh can no-sell small rock projectiles from the elite earthbenders, Dai Li. That doesn't mean Katara can one shot Zuko or Iroh with water blasts but Azula's probably a lot stronger in fire manipulation than them and it justs shows Katara can actually defend against that with her own attacks. Stain was tanking attacks from 5 percent Deku who can shatter concrete/cement with a single kick. Izuku while using 5 percent hits a little harder than some bending attacks IMO. A thing to consider about this feat is there is no way to tell how thick the ground was here. Look at the location one more time, unless he is right under a bridge or something or directly under an area where water would be directly under, Katara wouldn't be able to pull this off. She hasn't faced any other ice benders asides from Pakku and we saw how that went, there is no guarantee she'd be able to stop Shoto's Ice so easily. Plus like I said a 1-2 combo, as she's trying to avoid or stop the ice, he goes for a fire attack suckerpunch to hit her mid action. watch till 1:51, and that should give you a great Idea on how large the construct was and how far it traveled. To give another actual solid idea on combat speed lets go back to Iida. Remember, Iida at full speed is ACTUALLY FTE, he can physically run at speeds faster than the eye can track. Although Todoroki only had the reaction speed to dodge attacks, he still had his powers, that being said, he was capable of tagging him as he attacked. I wanna make note that Stain The Hero Killer is faster than both of our characters, he was severely holding back against Izuku, Todoroki and Iida, and they are all fast combatants. He easily dodged most of their attacks. Izuku himself is pretty fast and agile when using the full cowl. Combat speed wise, I'd put him close to Aang or Ty Lee, his agility is more like Ty Lee's or Ming-Hua's except not as fluid. To start off, Izuku when he finally got a grasp on his powers, was agile enough to dodge several different attacks from different heroes all at once. Before he got a grasp of it he was training with Gran Torino, Gran Torino is a good deal faster than Aang based off feats, and he's solidly impressive, although Izuku isn't on his level, he took training from him, and eventually managed to just barely tag him through skill and tactics, but before I get to that, let's look at things at a chronological order. First Gran Torino's abilities. He can move at FTE speeds, definitely at a far greater degree than Iida and is plenty agile. Although Izuku had a tough time even perceiving him, the speed his full cowl gave him, allowed for a decent enough edge for him to almost tag Gran Torino. So how did he fair against Stain? He seemingly did good, but Stain was pretty much faking it. In case you're wondering, Stain has a special ability similar to bloodbending, but he has to consume the blood of his opponents for it to work(even a small amount would work) which is why he only went for a small nick. Stain was generally out of their league altogether. No surprise a simple knife throw threw Shoto off. I don't see why he wouldn't.... plus he could just counter with his own offense fairly easy. Actually, you can visibly see Shoto getting hit as well. Sure the construct is taking more damage, but that just shows how good his durability is. To give you an idea on Izuku's uncontrolled strength, the shockwave of his punches(with his entire arm) blasted through multiple floors of a building. Obviously Delaware Smash(which is only his finger) isn't as powerful as this, but that should give you a solid idea on how hard Izuku can punch or how hard the shockwaves of his attacks are. Unless Zuko has something better than that, I'd say they are on the same level, and that's honestly being generous. That is a good deal smaller. The size difference is clear. Todoroki's attack took up a fair portion of the stadium... Katara's attack isn't remotely the same. The amount of time is irrelevant, a flash freeze is a flash freeze. There's a huge difference between freezing enough to be encased in ice(where its possibly for body parts to go numb due to the cold) and actually being frozen from the skin to the bone. 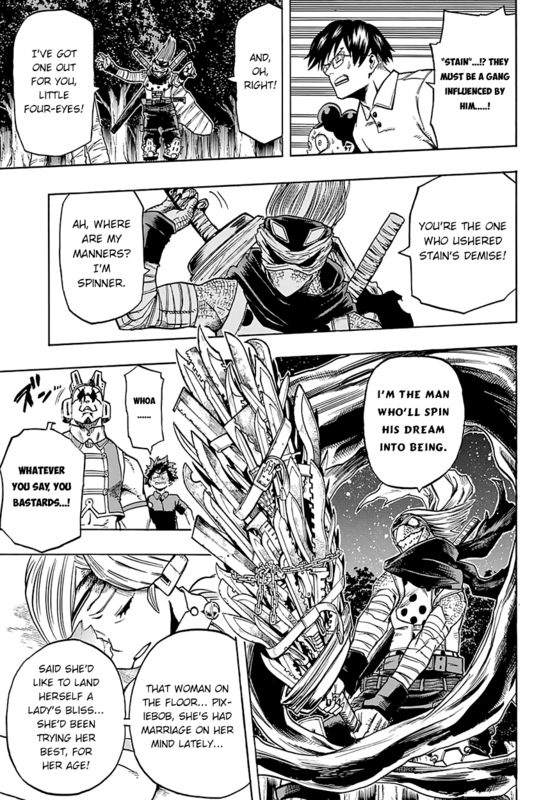 Actually no, nobody has been capable of breaking out of his ice physically to my knowledge,(asides from Noumu who was fighting All Might IIRC) obviously being a hero requires restraint so he wouldn't go around putting people in conditions that would kill them. This is why he immediately defrosted Sero after he won. The amount doesn't matter. If it was on Shouto's level it would have kept her in place due to the fact that trying to rip herself out of it would only do more harm than good. Nobody has a fire rate that good, not even Zuko or Azula. The only person who comes to mind in the Avatar Verse is someone like Kuvira who is among the fastest characters in the series. Bakugo had to do it with blistering speed in order to protect himself. I highly doubt Katara could replicate the same seeing as the only way to match Todoroki's attacks is through charged moves which would take too much time. Waterbending takes too many movements. So she won't be able to do the same. True, but not only was the move slightly charged, but the ship is on the water, the water which could easily influence its path and movement, combine that with bending and you got at least half of the reason why the ship moved. Regardless, none of her standard attacks have that level of potency, her charged attacks most likely do, but like I said, there isn't a chance in hell she'll be able to pull out the same level of potency she did here as soon as the fight starts to counter Todoroki's Ice Ridge. Not on the same level, but close enough, the problem is that she has no showings countering other waterbenders who utilize such a technique, obviously she's capable of dispersing her own bent ice, but we don't know how good she is at negating others. Bakugo is definitely more mobile than Katara. He was avoiding attacks from six super powered villains with his explosions and agility. He also is capable of propelling himself far more effectively than Azula with her jet propulsion. (here's the anime version skip to 1:54) I wanna see Azula or Zuko, or any bender do something like this. Not even Aang, Ty Lee, Ming-Hua or Zaheer showed off such mobility in a fight. As for Todoroki? He isn't bad at all. In fact he was keeping up with Bakugo rather well, while also performing some slick moves here and there to stay in the fight. 0:38 to 1:41 Shouto could have ended the fight right then and there with how he caught Bakugo mid-charge while catching himself on his ice slide, but his ideologies and beef with his father at the time prevented him from doing so. At almost the same time? Doubtful. She would have to immediately move out of the way, or be fast enough to jump out of the way leading into jumping onto one of the buildings or taking the time to do so. If this was Zuko, Azula or Aang, or any character that has a fair amount of agility, or characters like Toph who could launch themselves almost immediately, you would have a case, but similar to all the other potential counters Katara has to Shouto she has to take the time to do her gestures in order to do so which her opponent will not allow. The feats you shown are not enough to suggest she would be able to effectively utilize hopping onto the buildings. Plus, his scale and the nature of how his attacks spread make trying to get away practically pointless unless you have the agility to do so. Making use of the environment would be hard here. Then how can you argue she can effectively do this against Todoroki? Eh, it still took awhile for her to take a deep breath, perform the technique and wrap herself around in it. I'm not sure that's practical at all. But since you agreed, i'll move on. Posted Izuku's feats in this post, as for Bakugo, A solid feat is during his fight against Uraraka. Using her gravity powers she made use of all the debris that was gathered into the air to drop it on his head, it was several tons of cement, Bakugo made use of one large blast to vaporize all of it, the explosion could be felt from the stands as well. Also as a good show of durability on Todoroki's part, lets look at Bakugo's most charged move that only managed to KO Todoroki but managed to successfuly smash most of his ice ridge. Plus the explosion was huge...not only would Katara be hardpressed replicating such raw power in order to put him down, but replicating the raw power to tear through his ice as well. And reaction speed, and reflexes.... Bakugu and Izuku are honestly more impressive than say Azula. (when not looking at comic feats, which even then, aren't enough to say she's better.) His mobility, skills, and the way he uses his powers makes him an opponent I cannot see most Avatar characters dealing with properly. At the very least they are on her level. I still didn't get any evidence that she'd defend herself in the same fashion as Bakugo did against his much smaller Ice Ridge. And her mobility isn't above what he's dealt with such as Stain and Bakugo. Speed? He stomped Iida. Mobility? He matched a wind user who had enough precision to gather hundreds of balls(meant to stick onto targets) and take out hundreds of targets in an instant. Power? The Ice Ridges, speak for themselves, and Todoroki has a trump card of his own. He overpowered Deku's strongest punch(already gave you an idea of what the shockwave alone of his strongest punch can do) with said trump card, and honestly, Nobody outside of a Bloodlusted Aang, or Bumi is matching Deku in terms of destructive force. the subtitles explain it rather well, he takes the already cool air and ice and heats it up to create a powerful explosion. What's to stop him from launching such an attack to take down Katara? Katara has shown no powerful enough defense to pull this off. Quite frankly, not even lightning in Avatar has been this destructive so even her feats of defending against Azula's lightning won't hold water either regarding her defense. And she sure as hell isn't doing what you described with Todoroki's ice ridge. She doesn't have the defensive techniques Aang and Toph do to wall out something with that much force. Hell I'd argue Todoroki could replicate something smaller scale with Katara's own attacks....meaning her own offense can potentially be thrown back at her if the right situation sets it up. Bakugo alone would cleanup the verse's best fighters. Izuku could take down Aang, and characters like Iida would take down most non-benders IMO. Eraserhead practically solos the verse. Better control doesn't really mean much. Bakugo had to use a lot of skill and persistence to overtake Todoroki, or at least attempt to. Even saying that those with more power tend to be simple and straightforward. Skill and strategy means nothing against Todoroki when he's fairly skilled himself along with having overwhelming power and attack speed. Along with having better reaction speed. Even if Katara has the raw power to counter his biggest moves, she needs charged moves in order to do so. And Katara is mobile, but she won't be able to make use of her mobility in a setting like this since her mobility rides on utilizing a large source of water for waterspouts or slides. Todoroki practically has the same level of mobility as Katara and has a trump card that actually cannot be feasibly countered by Katara. @anthp2000: I should probably get back to this lmao. Unless you are no longer interested? @deathhero61: I'm interested if you wanna continue. T4V if this is still happening.